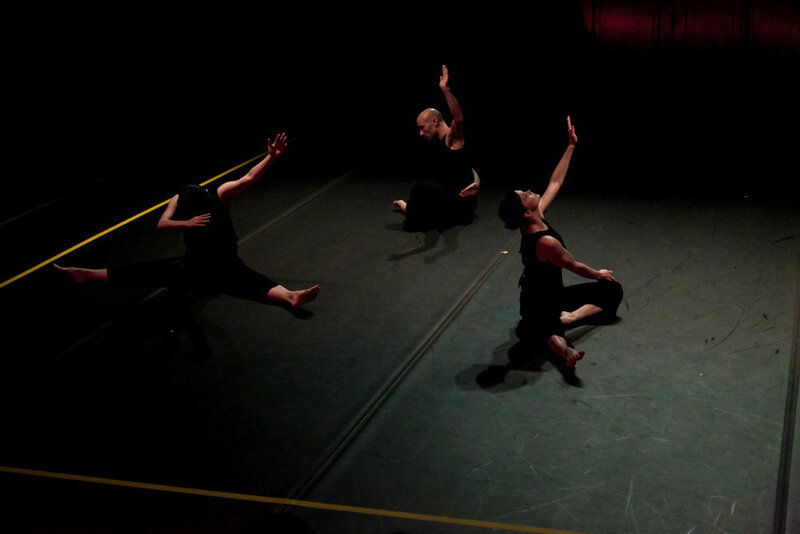 In 2007 I danced in the BAM premiere of Dense Terrain with New York’s Doug Varone and Dancers. Doug had been working from the Lewis Thomas classic The Lives of a Cell, with a special interest in the essays that focused on interaction among social insects. At about the same time, Montreal visual artist Sylvia Safdie offered me a group of her films as a catalyst for a new dance. The films featured insects, alone and in groups, their actions altered by slowing them down, looping and reversing them, and that footage inspired a trio, coalesce. When Doug suggested armour, a duet from Dense Terrain for my repertoire, I brought it together as a companion piece for coalesce, and commissioned an electro-acoustic score by Toronto composer Debashis Sinha which unites the dances sonically. 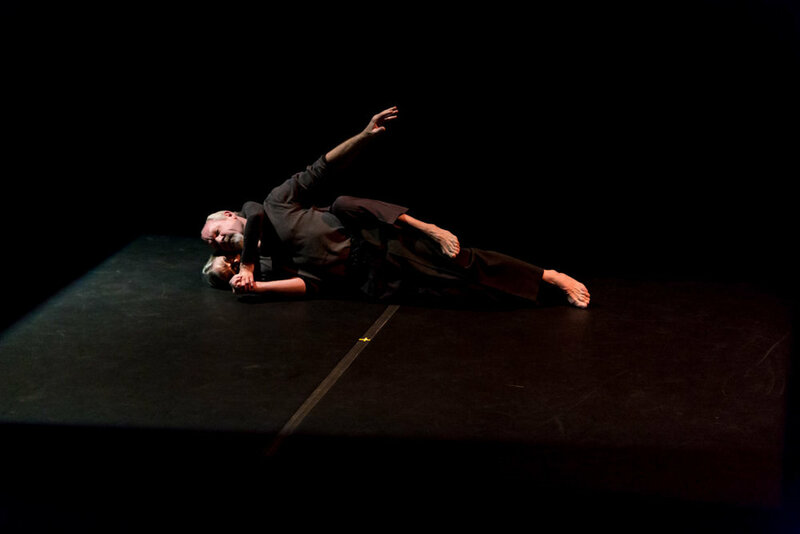 They premiered in Toronto at the Enwave Theatre in 2010.
coalesce is a complex and unpredictable inquiry into the nature of communication that imagines alternate sensory and movement pathways for eliciting interconnected action. 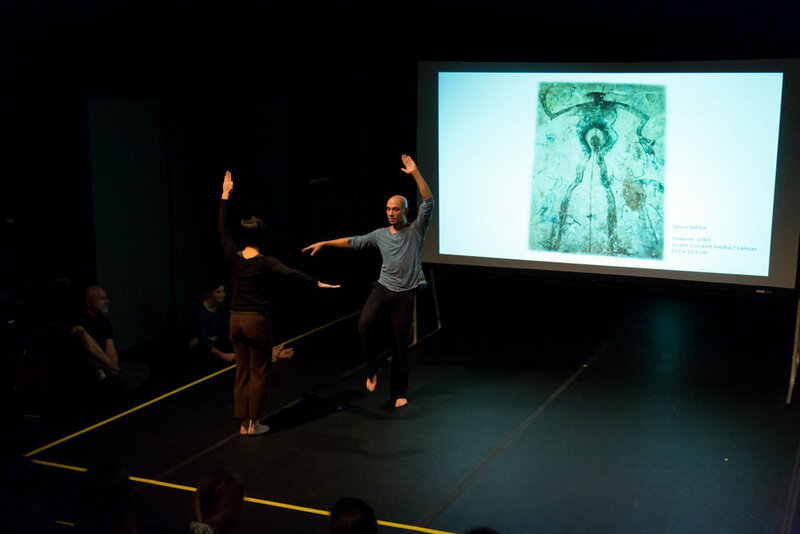 It is danced by three superlative performers: Kate Holden, Sean Ling and Sahara Morimoto. 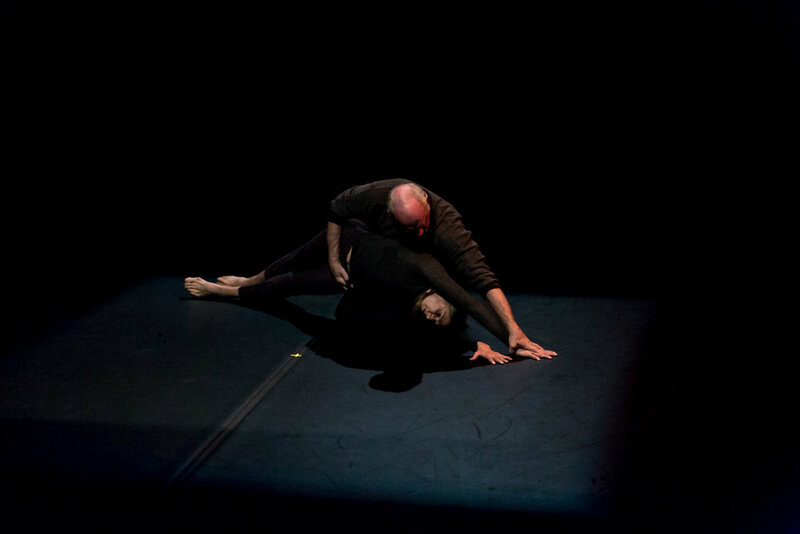 armour pairs me with Bessie Award winning, veteran dancer Larry Hahn in a spare duet that entangles us in a primal act of connection. The Audio Action Tour format is totally unique and wonderfully engaging. For part one the stage is stripped of all masking and I speak directly with the audience, sharing the inspiration, methods and materials of the choreography through description, slides and film footage. The dancers, dressed in rehearsal clothes, demonstrate aspects of the choreography that reveal stages of exploration, development and refinement. Following a brief pause we present a fully lit and costumed performance. The guided tour of the inner workings of the dances, and the explanations of the deep connections they have to one another, creates a powerful entry point for experiencing and appreciating the performance. coalesce & armour: an audio action tour has been presented in New York, Vancouver, Nanaimo, Calgary, Ottawa, Burlington and Mississauga.